Welcome to jobaffairs4u, finally NIOS has activated the NIOS DELED EXAM FEE 2018 submission link today. NIOS already released the notification yesterday regarding the exam fee submission. NIOS DELED Exam fees is to be submitted online only, no other means are acceptable. 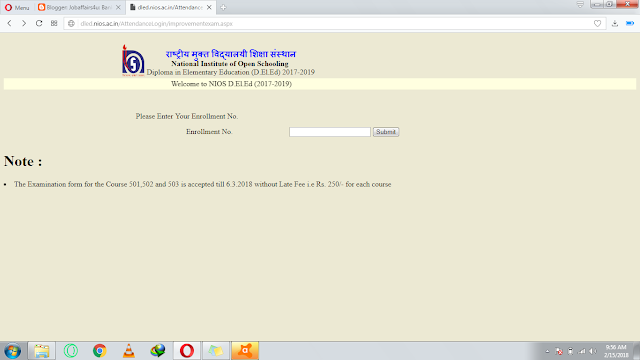 So always pay your exam fees through online mode FROM OFFICIAL WEBSITE. 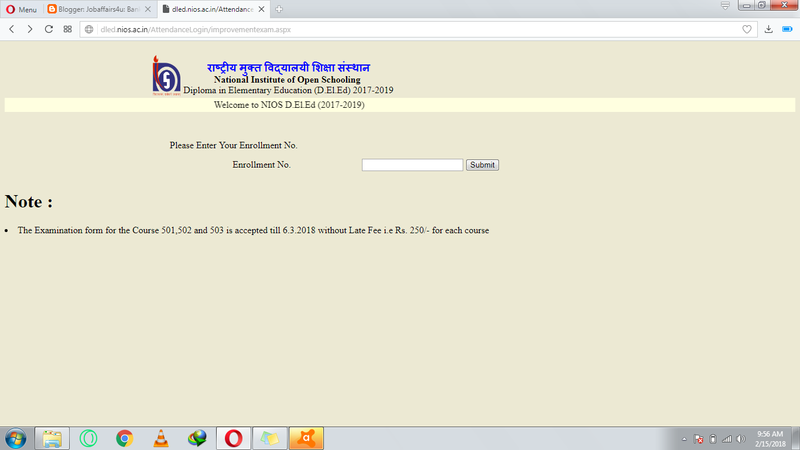 HOW TO PAY NIOS DELED APRIL/MAY 2018 EXAM FEES ONLINE? Log-in to official website of NIOS DELED 2017-19. At the bottom of the website there will be link for Fee submission. Click the Fee submission link. Second window opens where you have to enter your Enrollment number. After entering enrollment number your Baisc registrations details will be displayed. It will also ask if you have applied for improvement of marks in class 12th. choose accordingly yes or no. After that click on submit button and payment confirmation page will open. A total of 3 subjects 501, 502 & 503 fees will be submiited. 750 rs will be deducted with other bank charges. CLICK HERE FOR SECOND YEAR REGISTRATION DETAILS NEW! So Apply online for NIOS Deled Exam fees 2018 examination as early as possible. If you have any query or doubt please share it in comment box or contact form available on website.